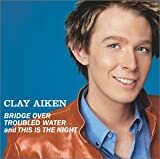 These are lyrics by Clay Aiken that we think are kind of repetitive. Well, you're not invisible. Ever since you got a record deal from being the runner up on American Idol 2.